Grooming removes dirt and dead hear and prevents matting. Depending on the breed, the home-grooming attempt may prove more or less challenging. The key is to start grooming your pet at an early age, so that the dog gets used to it. It also strengthens the bond between the dog and the owner. Once the dog is used to grooming, you will have lots of fun. Here are some tips on how to groom particular breeds, listed alphabetically. 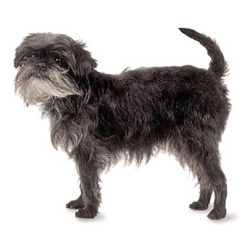 Affenpinscher's coat is harsh and short. That reduces grooming to minimum. Brush and comb your dog's fur once per week, but don't clip it. Sometimes you'll have to use a groomer to do some plucking. Pay particular attention to the eyes; hair growing in the corners may cause irritations. 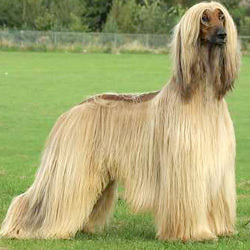 Afghan Hounds' coat is long and thick. Mats and tangles are usual with this breed. Optimally, groom your dog every day to avoid them. Brush the dog regularly and wash him from time to time, when the grooming is particularly difficult. 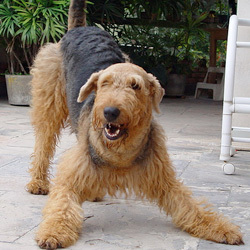 Airedale Terriers have hard coat. Though the hair is short, it is prone to mats and tangles. If you strip your dog's hair regularly, he will shed only little. You will have to wash his beard, though. Food residue sticks easily to it. Brush him daily if you don't strip his coat on regular basis. Akita's coat is coarse and stiff. You will need a bristle brush to groom him. Weekly grooming is optimal, but if your dog is very active you will need to groom him on more regular basis. Note that Akitas shouldn't be bathed too often. Their coat is waterproof, and bathing reduces the protection. Alaskan Malamute's coat sheds dirt on its own. 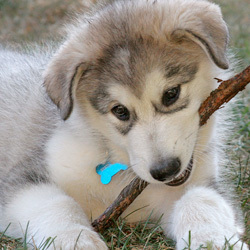 Alaskan Malamute is odorless and clean, but is a very heavy shedder, since its coat is dense. Brush your dog at least twice a week, though daily brushing is optimal solution. 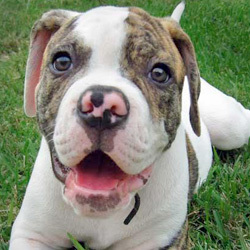 American Bulldog's coat is harsh and short. Use a bristle brush to groom your dog and bathe him only when it is absolutely necessary. American Bulldog is average shedder, so you need groom the dog only when dirt sticks to his fur. 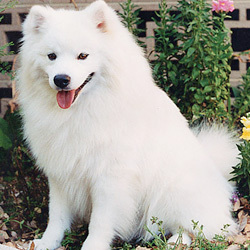 American Eskimo has thick, long coat. Since it is white, all dirt is easily observed. The coat is long, so mats and tangles are usual. To prevent them, brush your dog three or four times per week. Use a bristle brush. You may have to brush the dog daily during the shredding seasons. Wash the dog only when necessary, and make sure there are no tangles beforehand. 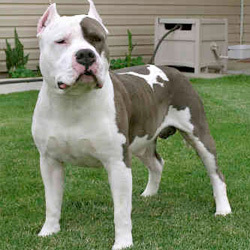 American Pit Bull Terrier has short, smooth coat. Brush your dog only when you observe dirt and during the shredding seasons. Bathe the dog only if necessary. Note that you can make the dog's coat gleam by rubbing it with a towel. 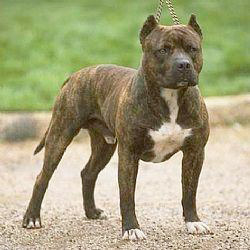 American Staffordshire Terrier's coat is short and smooth. Optimally, brush the dog daily with a bristle brush and wipe the coat with a towel to keep it shiny. Bath the dog only when necessary. American Staffordshire Terrier is an average shedder. American Water Spaniel's coat is oily. 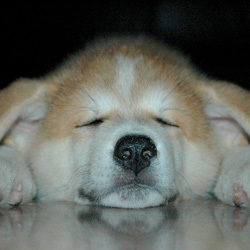 Brush the dog twice a week, since oiliness is the cause of strong odor. Don't make the mistake of washing the dog too often. Wash the dog only when necessary, to prevent his skin from drying. 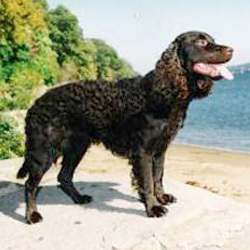 American Water Spaniel is a light shedder. 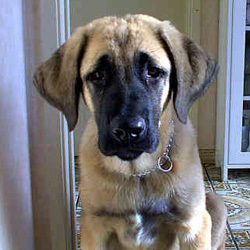 Unlikely enough, Anatolian Shepherd requires only minimal grooming, despite the fact the dog is a heavy shredder. The breed needs brushing only during the shredding seasons. Washing isn't recommended. Wash your dog only when absolutely necessary. 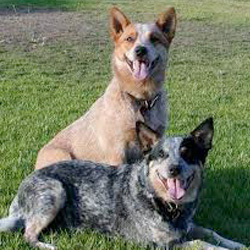 Australian Cattle Dog's coat is short and weather-resistant. Brush the dog occasionally, when there is need, and use a bristle brush. Baths, also, are recommended only when necessary. Washing may cause sharper odors and it removes the dog's natural protection. Australian cattle dog is prone to shredding only during the shredding seasons. 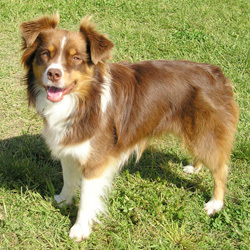 Australian Shepherd has long and soft coat, which is particularly easy to groom. Brush the dog occasionally with a firm bristle. Bathe him only when necessary, to minimize the risk of removing the dog's natural coat protection. 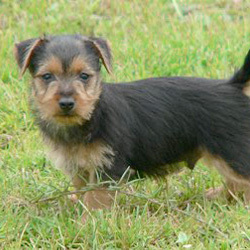 Australian Terrier's coat is long and shaggy. This breed sheds only little. Brush the dog several times a week, when there is need to keep the coat shiny. Bathe him no more frequently than once a month, and then only if necessary. Pay attention to hair around the eyes and ears. Some trimming is necessary from time to time. Plucking is recommended every three months.